It’s official. I’m bored out of my mind. This means I’m totally ready to get back to blogging, and I think everyone in my house, pets included are very happy about this. I know I am. I honestly cannot take one more night of mindlessly flipping through a poor selection of available Netflix movies to entertain me. I’m going to lose my mind. My surgery went well. I sincerely thank you for all the prayers and well-wishes. They removed one tumorous parathyroid gland and sent me home about 8 hours after the surgery was over. I proceeded to develop a moderately severe allergic reaction to the surgical tape holding the gauze over the steri-stripped incision, and within 4 days had to have the steri-strips removed because of severe hives and welts that wouldn’t go away. It made it very hard to rest and very hard to feel better. By the weekend after the surgery I found myself in the ER with a fever and the welts were getting worse. I can handle being drugged by vicodin, but adding Benadryl 4 times a day to help with the hives about did me in. Ugh- talk about a bad case of the Gloomy-Zombies. Never again! Thankfully after drawing 8 vials and 2 small bottles of blood, no infection was found, so they pumped me full of lovely steroids and benadryl via my I.V, and sent me home 4 hours later. Deep sleep FINALLY came and I was turning a corner and starting to feel more human by the time I woke up later that day. Hopefully you guys are as happy that I’m back as I am. I did miss blogging and cooking and scheduling interesting, fun and informational Facebook posts. It is going to be nice to get into a small routine for the next few weeks before we’re ready to pack up our house and move. I thought I’d ease into posting and share a seriously easy recipe with you guys. You actually can’t even call it a recipe because it’s nothing more than a way to prepare my favorite food. If you have to ask what my favorite food is, I’ve obviously not dedicated enough time to singing its magnificent praises. It’s bacon. Was there any doubt? I have no idea what took me so long to prepare bacon this way. It turns out better; it stays the texture it’s supposed to be. It’s not supposed to be burned or cooked to a crisp. If bacon was supposed to be as crunchy as a potato chip I’m pretty sure it would have been mentioned in the bible, or in one of Julia Childs’ cookbooks. If you prefer your bacon one step from stale jerky, I don’t want to know. It makes me cringe, I weep for you… and the pig you just torched. 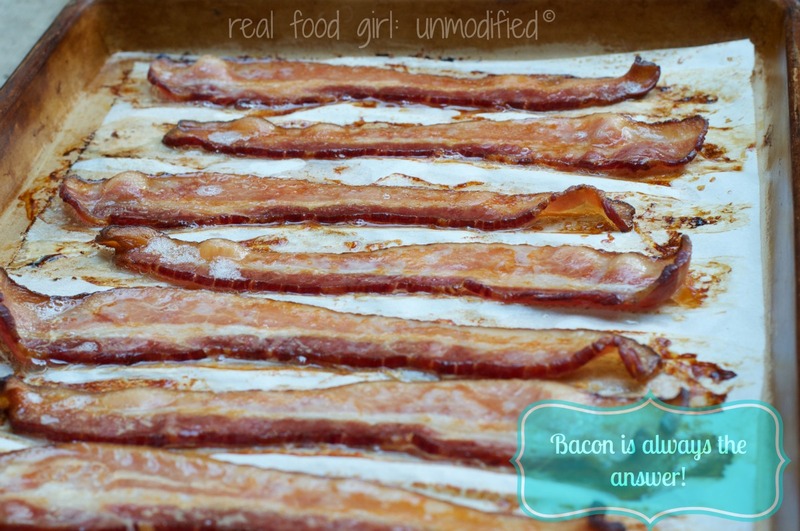 If you’ve never baked your bacon you have to give it a try. It’s how we do it in the restaurants and in culinary school. It’s how probably everyone has been making their bacon long before I jumped on board. I am aware that this isn’t a new way of making bacon, but it’s newer to me and in the off chance that you are still breaking out the skillet and the splatter shield to fry it on your stove top, then you need to read this post! I’ve found that stoneware vs. metal sheet pans renders a flatter, more evenly cooked piece of bacon. I’ve also found that laying down a piece of parchment and then placing the bacon atop that helps the bacon release nicely and you won’t have any little bits stuck to your bakeware. Once the bacon is done, I move it to some paper towels to drain and let all that yummy bacon fat cool. Once it’s cooled some I pour it into my vat of bacon grease that I use for cooking. Bacon grease is my second favorite food. OK- that’s not true. But I do use it as a cooking fat all the time. Are you guys ready? Maybe before I show you how to do this ridiculously easy “recipe” I should tell you go break out the organic sprouted wheat bread, some fresh organic leaf lettuce, slice a ripe, juicy, organic tomato, mash up an organic avocado, whip up some tasty homemade mayo and prepare this bacon so you can have a fabulous BLT sammie!! There isn’t anything better than a BLT sandwich during the summer. It’s one of our favorite hot weather dinner options. And I love to add mashed avocado to my BLTs because I have texture issues with raw tomatoes, and the avocado is healthier than the mayo and really adds some amazing flavor to any BLT. 1 pound of thick-cut, organic, non-GMO, pastured, uncured bacon (preferably without nitrates, nitrites, antibiotics or hormones). Whew. 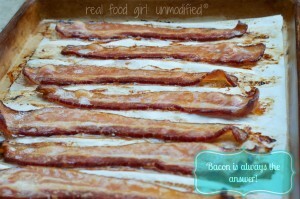 Won’t we be happy once we can just say “A pound of thick-cut bacon”? Put the sheet pan in the oven and bake for 25-30 minutes at 375 degrees. I under-bake mine slightly because I often use the bacon in other dishes where it will continue to be cooked some. You want it meaty, and bendable/pliable. Not stiff as a board. Again, don’t tell me if you massacre your bacon. I’ll cry. I don’t feel like crying. I’ll probably pop stitches in my neck or something if I cry. 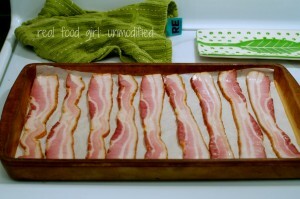 Once bacon is to your desired level of doneness, remove the sheet pan from the oven, and set on a cooling rack. 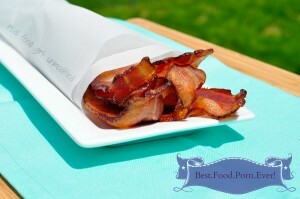 After 10 minutes, place bacon on paper towels to absorb excess bacon fat. Cool bacon fat and save in a glass jar to be used for cooking and pan frying. Eat bacon, or store in an airtight container or zip top bag in the fridge. It’ll keep as long as you can keep your grubbies off them. Which in our house is about 2-3 days tops. We go through a lot of bacon. Thanks for being so patient while I recovered from hypercalcemia and hyperparathyroidism. You guys have been wonderful and I look forward to pumping out posts again on a regular basis! Whelp, you’ve convinced me. I’ve heard about baking bacon, but never baked bacon before. (Hehe. Alliteration.) We eat (organic, thick-cut, non-GMO, pastured, nitrate/nitrite/antibiotic free) “apple cinnamon” bacon about 4 days a week with our eggs for breakfast. And, first of all…cooking it on the stovetop takes forever. Second, we get inconsistent results. 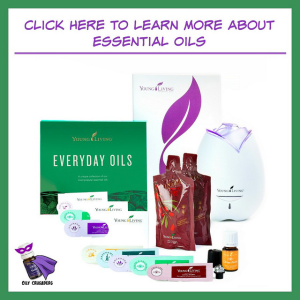 (*cough*hubby gets inconsistent results*cough*) This may be way easier for both of us! You won’t regret baking your bacon. 😉 And your comment about hubby cracked me up!